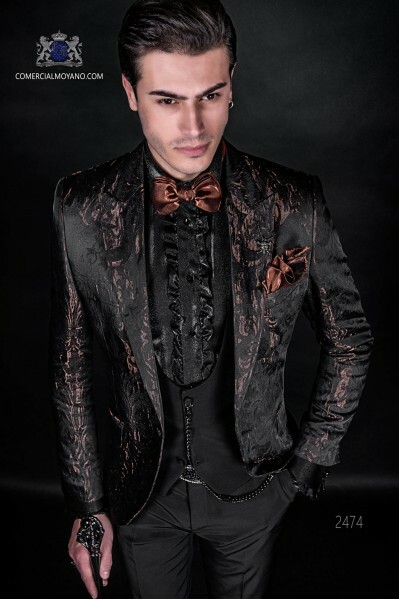 Gothic and rock fashion blazers There are 26 products. 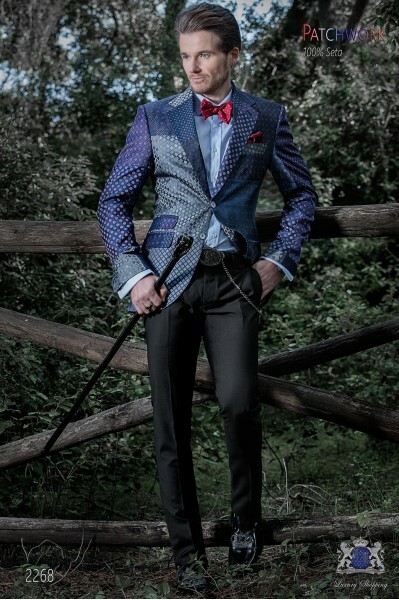 Italian patchwork jacket made of pure jacquard silk blue tones, 2 buttons. 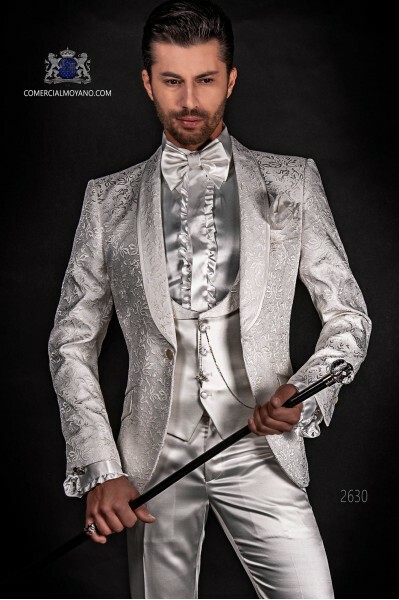 Pure silk fabric. 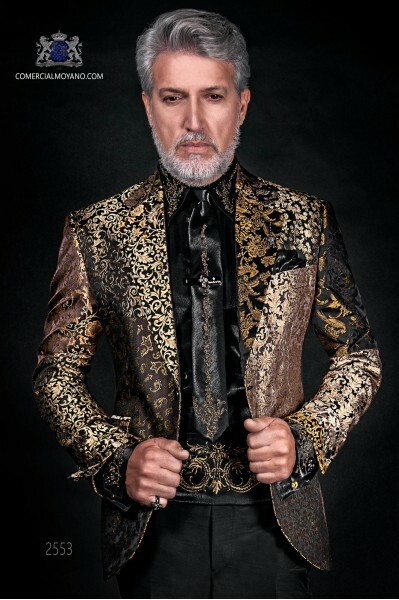 Patchwork jacket emotion collection 2554 Ottavio Nuccio Gala. 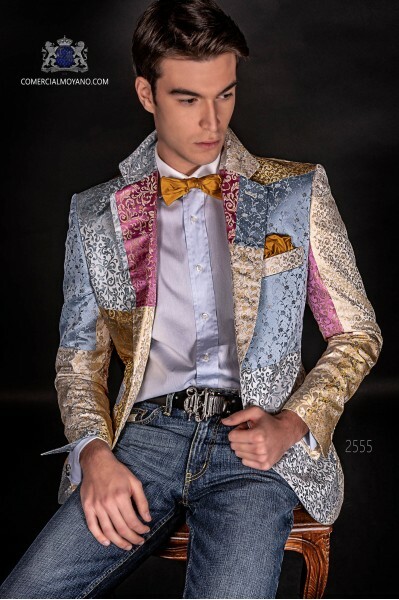 Italian "handmade" patchwork jacket made of pure jacquard silk pastel colors, 2 buttons. 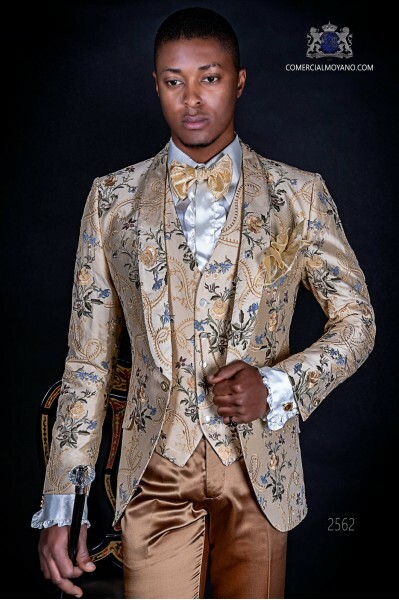 Pure silk fabric. 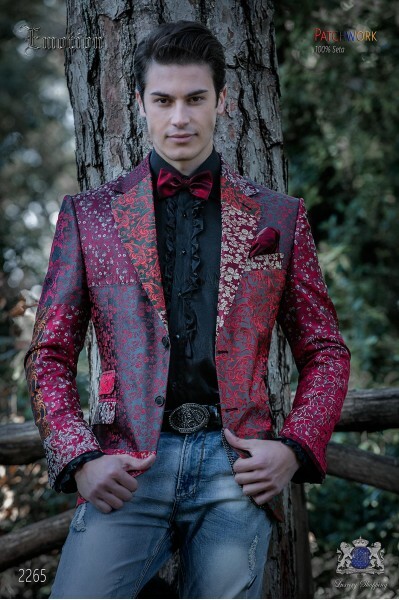 Patchwork jacket emotion collection 2555 Ottavio Nuccio Gala. 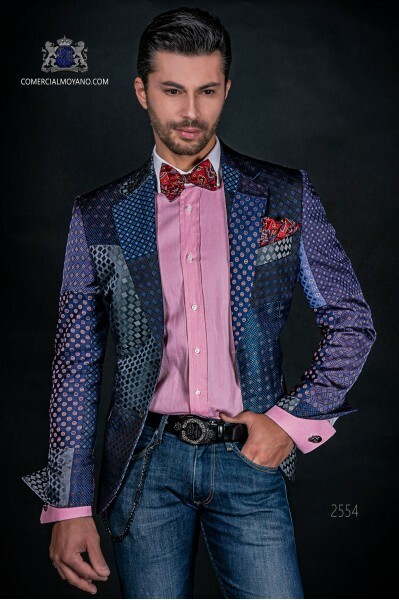 Italian patchwork jacket made of pure jacquard silk blue tones, 1 buttons. Pure silk fabric. 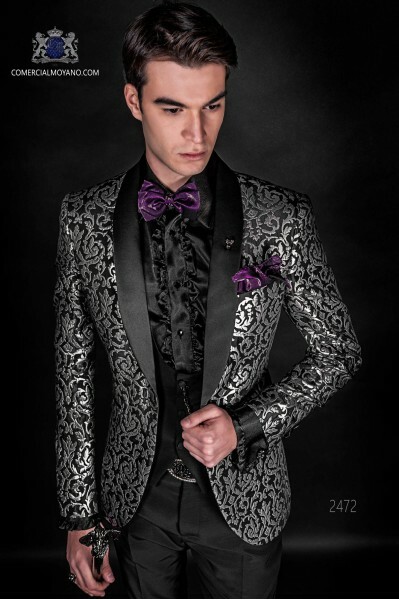 Patchwork jacket emotion collection 2268 Ottavio Nuccio Gala. 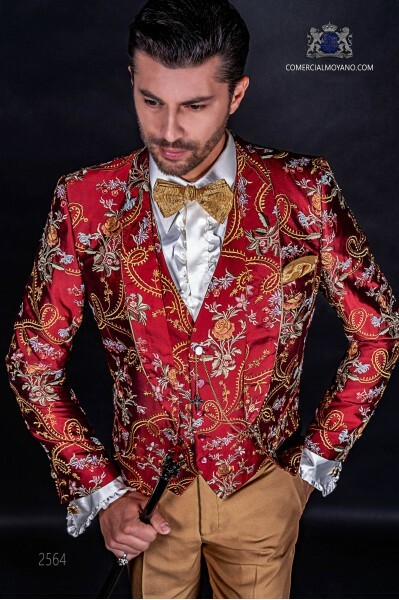 Italian patchwork jacket made of pure jacquard silk red tones, 2 buttons. 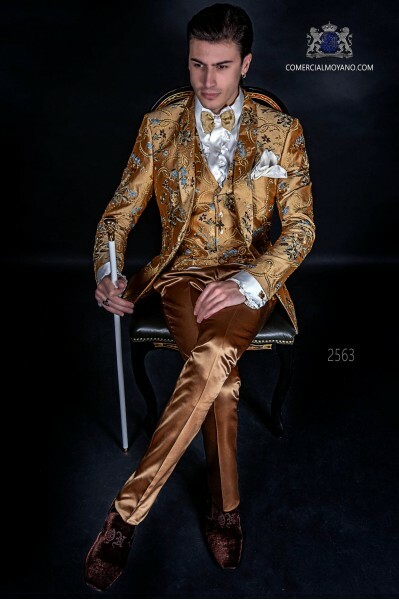 Pure silk fabric. 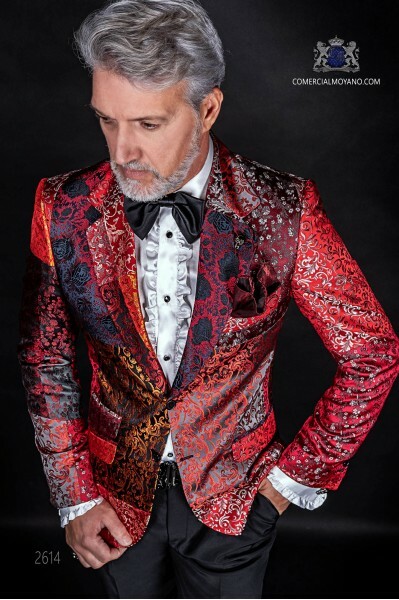 Patchwork jacket emotion collection 2265 Ottavio Nuccio Gala. 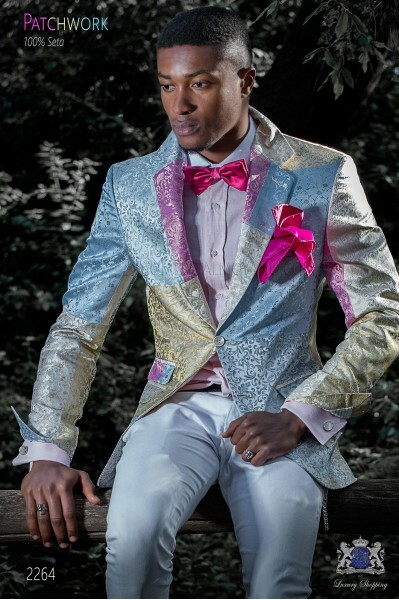 Italian "handmade" patchwork jacket made of pure jacquard silk pastel colors, 2 buttons. 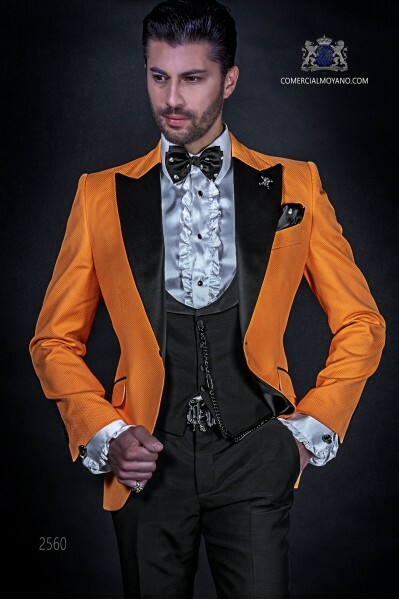 Pure silk fabric. 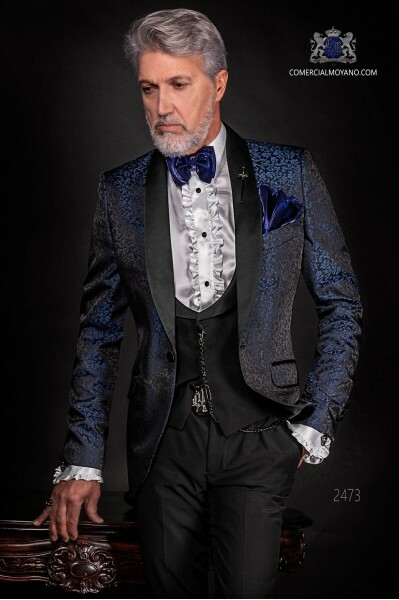 Patchwork jacket emotion collection 2264 Ottavio Nuccio Gala. 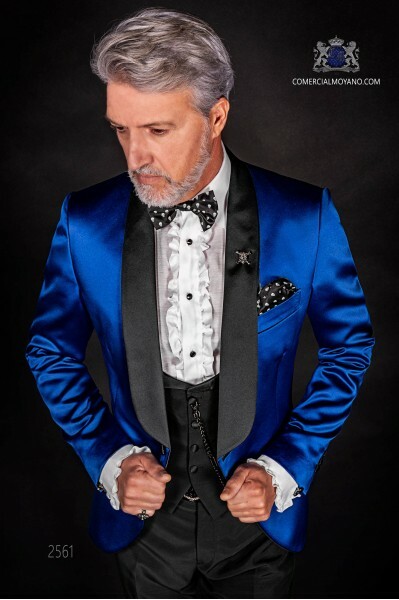 Italian royal blue satin tuxedo with contrast lapels. 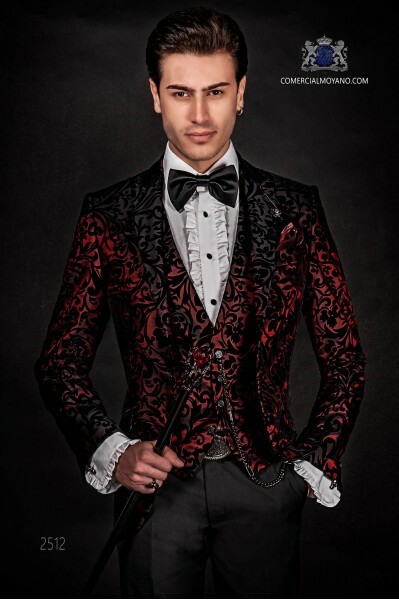 Jacket with black satin shawl collar and 1 button. 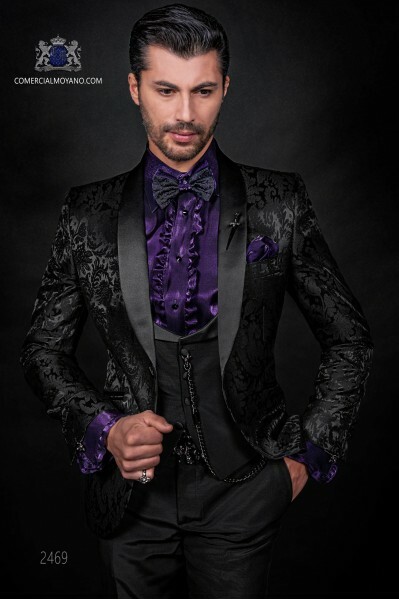 Royal blue satin fabric. 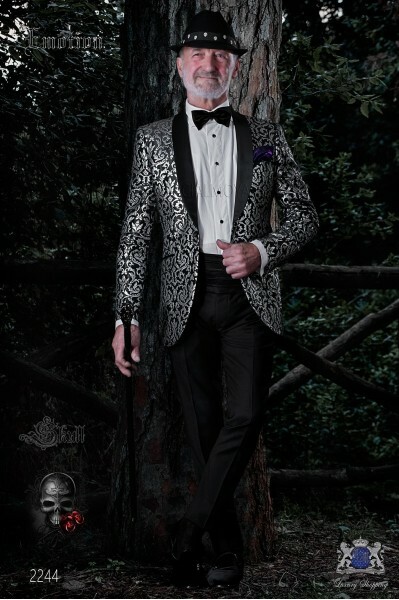 Tuxedo wedding suit 2561 Emotion Collection Ottavio Nuccio Gala. 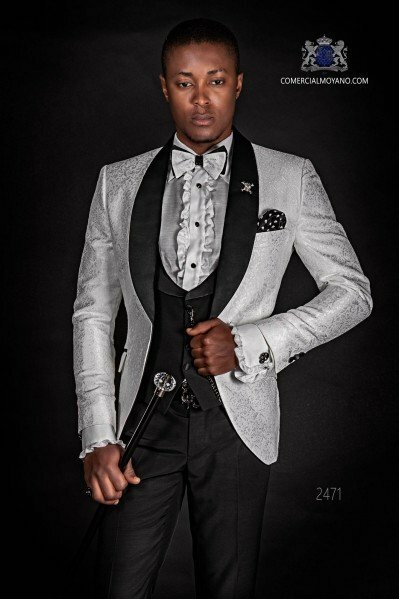 Black wool mix trousers and vest. 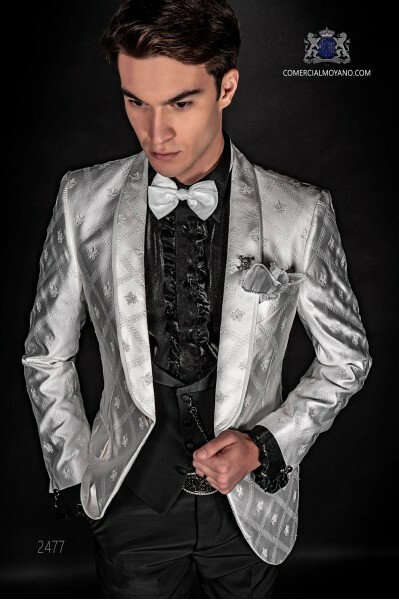 Korean fashion gothic jacket brocade black and silver. 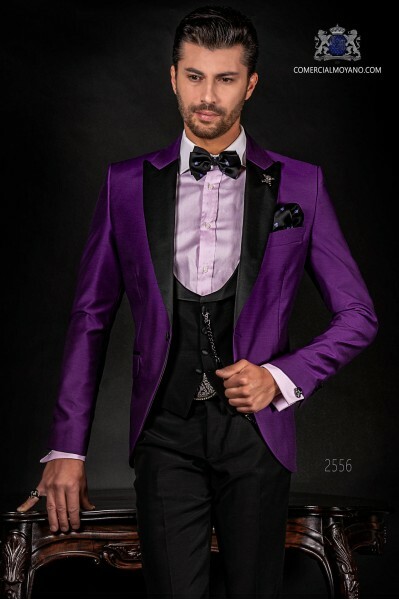 Fashion jacket 2244 Emotion Collection Ottavio Nuccio Gala.